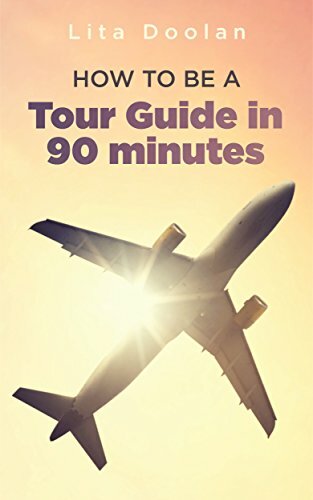 *How to be a Tour Guide in 90 Minutes by Lita Doolan. Price: Free. Genre: Nonfiction, Sponsor, Travel, Tour Guiding. Rated: 5 stars on 1 Reviews. 23 pages. ASIN: B07234VZKV. *San Diego: Ten Ways to Enjoy The Best Food, Beaches and Locations While On Vacation (Paul G. Brodie Travel Series Book 2) by Paul Brodie. Price: Free. Genre: Travel, Specialty Travel, Senior Travel. Rated: 4.9 stars on 10 Reviews. 96 pages. ASIN: B075RH7179. Posted on September 25, 2017 Author KibetCategories history, TravelersLeave a comment on Kindle Travel Deals for Sunday! Posted on September 24, 2017 Author KibetCategories Free Travel Kindle Books, TravelersLeave a comment on Kindle Travel Deals for Saturday! *The Night Hikers: A True Story of Three Boys’ Adventure, Survival and Friendship by Obaidur Rahaman. Price: Free. Genre: Biographies & Memoirs, Travelers & Explorers, Sports & Outdoors. Rated: 5 stars on 3 Reviews. 145 pages. ASIN: B06VSQ1PLG. Posted on September 9, 2017 Author KibetCategories Biographies, Free Travel Kindle Books, memoirLeave a comment on Kindle Travel Deals for Friday! *Tokyo Travel Guide: 101 Coolest Things to Do in Tokyo (Budget Travel Tokyo, Japan Travel Guide, Travel to Tokyo, Backpacking Japan) by 101 Coolest Things. Price: Free. Genre: Travel, Specialty Travel, Budget Travel. Rated: 4.8 stars on 14 Reviews. 43 pages. ASIN: B074WBWT5J. San Miguel de Allende Secrets: Day of the Dead with Skeletons, Witches and Spirit Dogs by Joseph Toone. Price: Free. Genre: Travel, Central & South America, Mexico. Rated: 4.3 stars on 7 Reviews. 43 pages. ASIN: B01LWQYH7I. San Miguel de Allende Secrets: History and Culture with Virgins, Barbies and Transgender Saints by Joseph Toone. Price: Free. Genre: Travel, Central & South America, Mexico. Rated: 4.2 stars on 5 Reviews. 167 pages. ASIN: B01LY1TIS9. Posted on September 2, 2017 Author KibetCategories Budget, Free Travel Kindle Books, TravelersLeave a comment on Kindle Travel Deals for Friday!